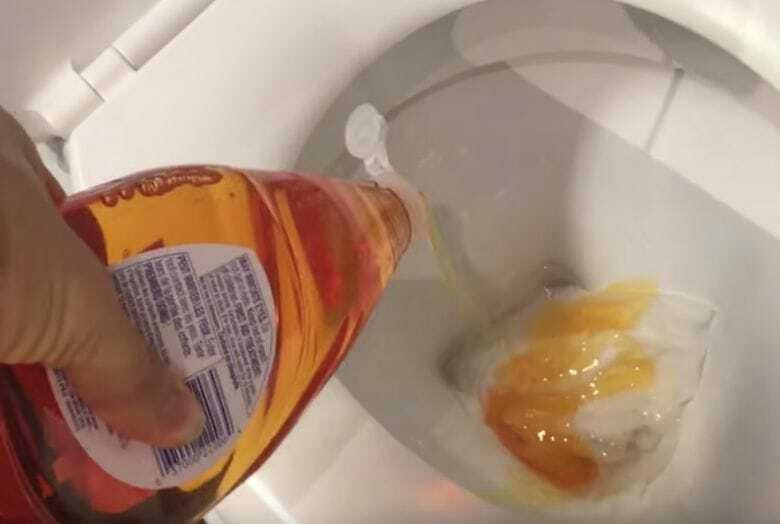 This is the amazing reason why everyone should pour dish soap into their toilet! Can you think of many things that are more frustrating than a toilet that’s clogged? We certainly can’t. You flush and the water rises and then you hear a menacing sort of gurgling. If you’ve got bad luck, the gross water will spill over the edge as well, which makes the whole thing much, much worse. Unclogging a toilet is a nasty job, but it is one that needs to be done as soon as possible. When you want to unclog the toilet, you usually start with getting out the plunger, but that doesn’t always do the trick. We don’t really like those expensive chemical substances you’re supposed to pour down your toilet, though. Luckily, there’s a solution that’s simpler and cheaper, and you’ll most likely already own this product: dish soap!